Music is enough of a puzzle already. You've got your parts, your sections, your structure. Then, you have to make those parts fit a into whole, and get them to make sense together. Say, wouldn't that make for a fun game? As it turns out, it would. Enter Musaic Box HD, a game that's been out on PC for a couple years now as well as on Android, and was just released on iPad in a newly up-res'd version. 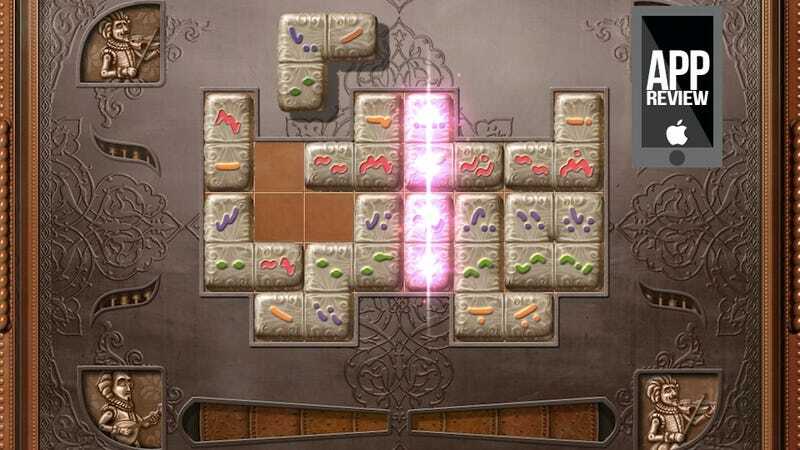 The game won the Excellence in Design Award at the IGF in 2009, and it's no wonder—this is a well designed, lovely puzzle game, and one that's uniquely musical. In the game, you're working your way through a book filled with music-box puzzles. Each puzzle lines up with a famous melody like "Yankee Doodle" or "Alouette." You're given a series of blocks, each of which correspond with either the melody, beat, countermelody or bassline. If you tap the piano roll at the bottom of the screen, you'll hear the melody. But you'll have to use that to determine where on the grid the piece should go. This is cool for a number of reasons. For starters, the arrangements of the tunes are a lot of fun. Interesting countermelodies, kicky beats and fun basslines all give the classic tunes a sort of Hooked on Classics vibe that I really enjoyed. The puzzles are also a really cool mixture of sound puzzle and spatial puzzle. The pieces must fit together like Tetris pieces, so you'll have to get creative about how you re-arrange them to make sure they all fit. And once they do, the screen will glow and the full arrangement will play. At first, I worried that Musaic Box would be too easy, but the pieces of music quickly became much more challenging. Long compositions like "Czárdás" will require you to keep track of a lengthy melody, but a puzzle-piece that's only, say, a bassline will require you to really use your ears to properly place. As much as I'd like to laud the specific strengths of Musaic Box's design, when it comes down to it, it's just a lot of fun. Sure, this game is right up my alley—if you're not much of a music head or you don't like puzzles, this might not be the game for you. But the creative design, charming art, lovely musical rearrangements and head-scratching challenge make this one a winner. Plus, there's that low-low price of free. (Though you can buy significantly more songs for a one-time in-app purchase of $2.99.) This one's easy to recommend.